October 25, 2015 October 20, 2015 Amanda B. 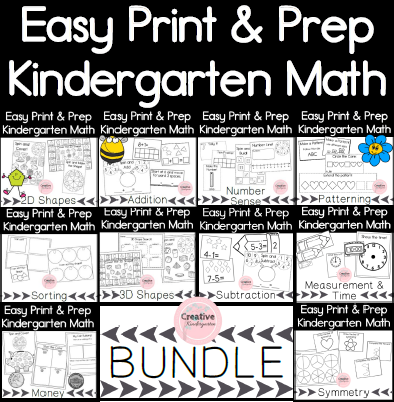 Here is a quick and easy math center that can be used to work on one-to-one correspondence with your students. Simply print out the number and dot cards and cut them out. Mount the cards back to back on a piece of construction paper so that the dot cards are on the back of the corresponding number card. Laminate them and hole punch in one corner. Place a pipe cleaner through the hole and secure. To set up the center put out the cards and any object that they can thread on the pipe cleaner – I used foam beads, but there are a number of things that would work! 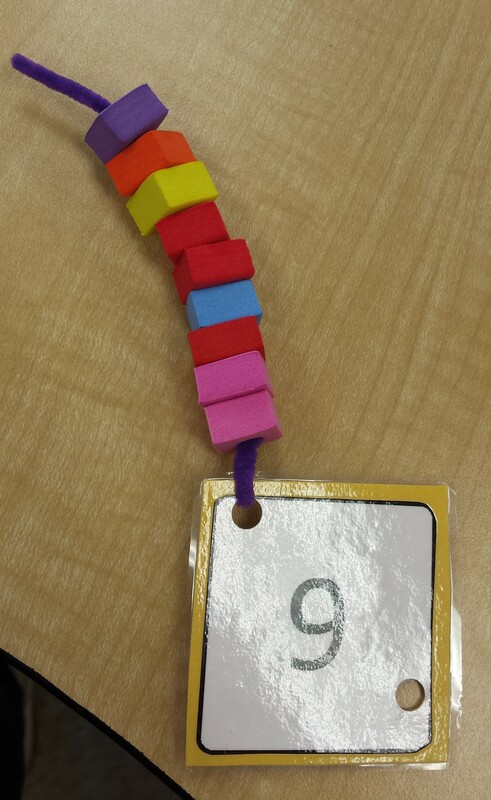 This is also a self-checking activity, since they can count the dots on the back of the card to see if it matches up with the number of beads on the pipe cleaner. 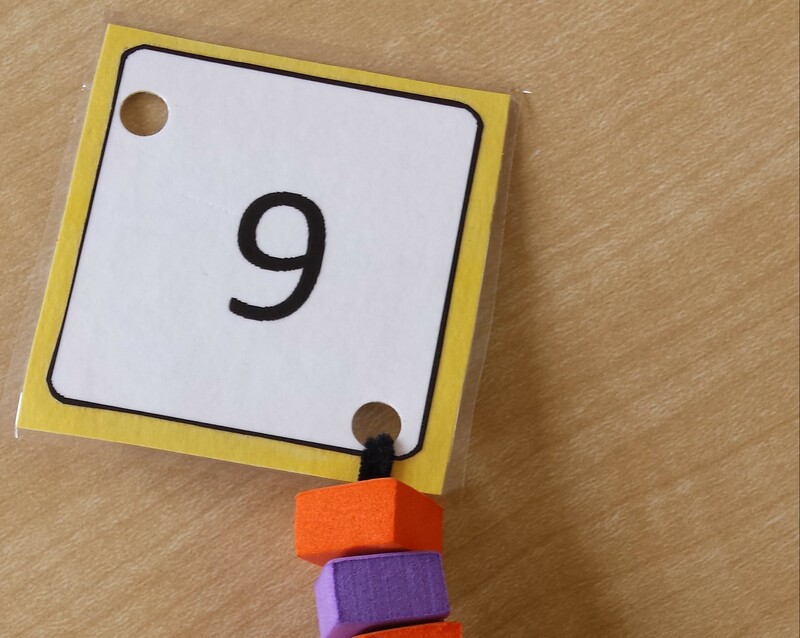 The set includes dot and number cards for the numbers 1 to 10.